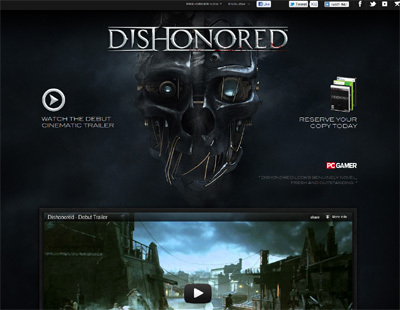 Dishonored is an all new first person shooter game that has been critically acclaimed as one of the best games of its kind ever to be released into the gaming market. I found this game completely captivating and spent hours attempting to complete it which I still have not done which is something in itself as I am usually very quick at these things. The graphics are great and the controls are easy to get the hang of. Great game all round. We have also compiled a Review System for this, of which Dishonored is Rated as Five Stars, the highest possible score available from the Game Review Team.